This competition is closed. Congratulations to Cheryl L., who was selected as the winner! As a thank you to all of the entrants, any entrant who places an order of $10 of more during February will receive a complimentary Lintex Urban Rib kitchen towel. When you place your order please email debbie@exclusivelyfood.com.au from the same email address you used to enter the competition and let us know your preferred towel colour. To help one reader make our new Beef and Mushroom Pies we are giving away a set of six pie tins from our kitchenware store. The prize is valued at $24.65 including delivery. What pie recipe would you like to see added to Exclusively Food and why? Competition closes 31 January 2011. We will select our favourite response and post the winner's name on this page by 3 February 2011. Prize can be posted to an Australian address only. If you live outside Australia, you can enter if you wish to have the prize posted to a friend or relative who lives in Australia. The competition commences on 26 January 2011 and closes at 11.59pm AEDST on 31 January 2011. 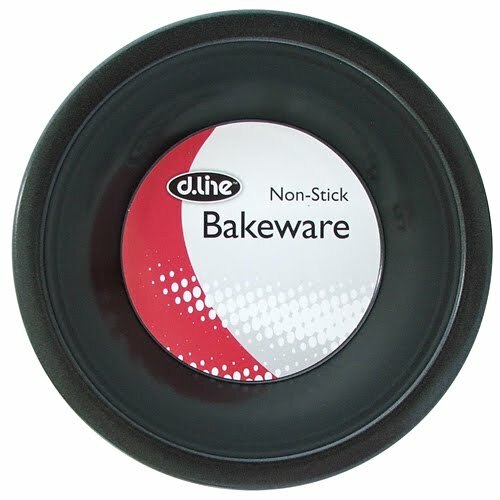 There will be one winner, who will receive six d.line pie tins from Exclusively Food Kitchenware Store.